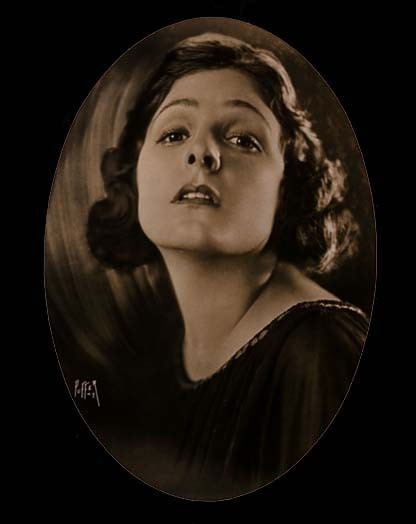 Norma Talmadge was born May 26, 1897, in Jersey City, NJ, the eldest of three daughters. Sisters Natalie and Constance also became actresses, but Natalie's career was far less distinguished than her sisters'. The girls' mother, Peg, encouraged their acting careers. Their father left home while they were very young. The family moved to Brooklyn where the girls attended public school. By the time she was in her teens, Norma was posing for music slides and magazine covers in New York City. She was only a teenager when she began cutting school to visit the Vitagraph studio in Brooklyn where she soon was working in one-reelers, requiring her to drop out of school entirely. Her first role of note was with Maurice Costello in "A Tale of Two Cities" (1911). By the time she got her first starring role in "The Battle Cry of Peace" (1915), she was one of the most popular stars on the Vitagraph lot. That same year, she went to California to work for West Coast National Pictures, but the company folded after only one picture. She and sister Constance then went to work for the Fine Arts-Triangle company. She married producer Joseph Schenck Oct. 20, 1916, assuring a competent overseeing of her career from then on. With her marriage to Schenck, she began working for First National making some of her most memorable films ­ "Smilin' Through" (1922), "Secrets" (1924), "Kiki" (1926), and "Camille" (1927). At the height of her fame, Norma was making $7,500 a week and receiving 3,000 fan letters a week. She was the third star behind Douglas Fairbanks and Mary Pickford to have her hand and footprints put in front of Grauman's Chinese Theatre. She made two talkies before retiring ­ "New York Nights" (1930) and "DuBarry, Woman of Passion" (1930), neither a success. She divorced Schenck in 1934 and married George Jessel with whom she had toured in vaudeville after leaving films. She divorced Jessel in 1937 and waited nine years before remarrying, this time to Dr. Carvel James in 1946. The marriage lasted the rest of her life. Although she was wealthy, she was plagued by health problems during the final years of her life suffering from arthritis which confined her to a wheelchair by the early 1950's. After a series of strokes and contracting pneumonia, she died Dec. 24, 1957.